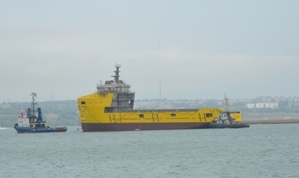 Hull of platform supply vessel. (80,10m X 16,20m) - start of towing. Hull ordered by Dutch client.